The economic crisis and Western sanctions have complicated Arctic exploration by state-owned Rosneft and Gazprom, bringing the issue back onto the government agenda. "Lukoil and a number of other companies have repeatedly presented arguments in favor of granting private companies with the appropriate infrastructure and technology the right to take part in offshore projects," Kremlin spokesperson Dmitry Peskov said Thursday commenting on a Kommersant report suggesting the idea has been approved by the presidential administration. "The issue has been on the agenda for quite a while now, but the decision has not been made yet, discussion is under way. There's a divergence of opinion on the subject," he added. In early March, presidential aide Andrey Belousov reported to Vladimir Putin on Lukoil’s request for private companies to have access to the Arctic shelf and "supported it in principal,” Kommersant daily reported on Thursday, citing its sources. Belousov asked the government to submit proposals before May 1. Belousov added that the possibility of liberalization has already been agreed at the operating level with Deputy Prime Minister Aleksandr Khloponin, Energy Minister Aleksandr Novak and the head of the Ministry of Natural Resources Sergey Donskoy.However, both the government and Lukoil have refused to comment. The state-run energy majors Rosneft and Gazprom have a monopoly on exploration of the Arctic shelf, and private companies such as Lukoil have been insisting they should be allowed into the area. The Western sanctions are another issue complicating full-scale shelf exploration. At the end of July 2014 the US and the EU introduced an embargo on supplying some types of equipment designed for Arctic, deepwater and shale oil projects to Russia. In September, the US government stopped American companies delivering goods, technologies and services to six Russian energy companies - Gazprom, Rosneft, Lukoil, Surgutneftegaz, Gazprom Neft and Novatek. As of January 1, 137 licenses for shelf exploration were approved, of which 49 belonged to private companies. These licenses were issued before the amendments to the law "On Subsoil" made in 2008 that allow only state-owned companies Rosneft and Gazprom to explore the shelf. Belousov doesn’t consider the pace and scale of exploration carried out by the state companies satisfactory, which “poses significant risks to the task of maintaining oil and gas production in the long term." Moreover, the obligations of Rosneft and Gazprom "do not provide sufficient exploration degree of the areas,” according to the Ministry of Natural Resources. The area explored by Rosneft and Gazprom does not exceed 0.25 route kilometers per 1 square km with the standard of 0.35-0.5 route kilometers. Belousov said that Russia needs to maintain control over the investment in offshore by introducing “strict preliminary qualification” and fixing a preferential right to shelf exploration by a company that had led the exploration. 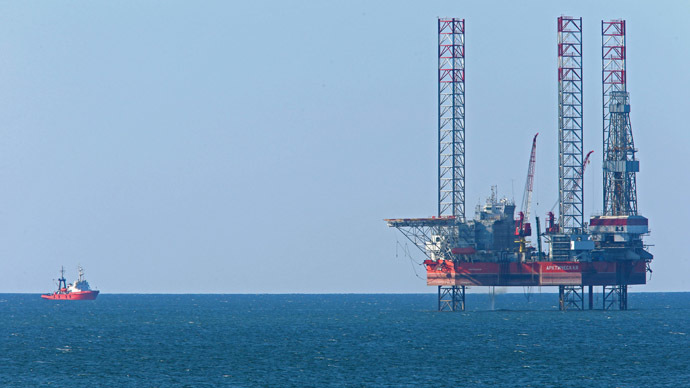 Lukoil is experienced in carrying out shelf exploration, particularly in the Caspian Sea, although the development of the Arctic will require more resources, said Valery Nesterov of Sberbank Investment Research to Kommersant. Though the state companies are slowing the pace of work because of the sanctions and low oil prices, the demand for Arctic oil will be much higher in a few years, and the oil industry should fully prepare for it, he added.